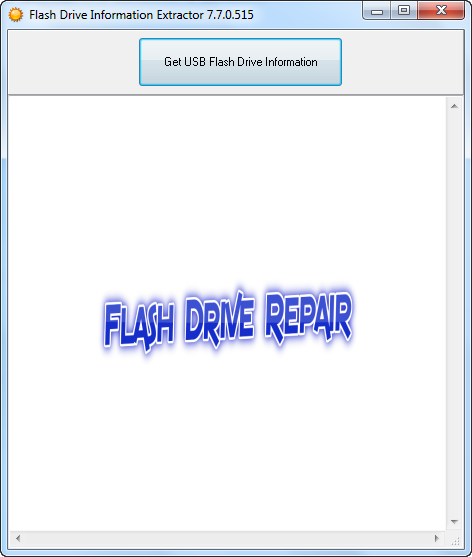 Download free Flash Drive Information Extractor 7.7 software and repair your corrupted USB flash disk for free.Try Flash Drive Information Extractor 7.7 now . 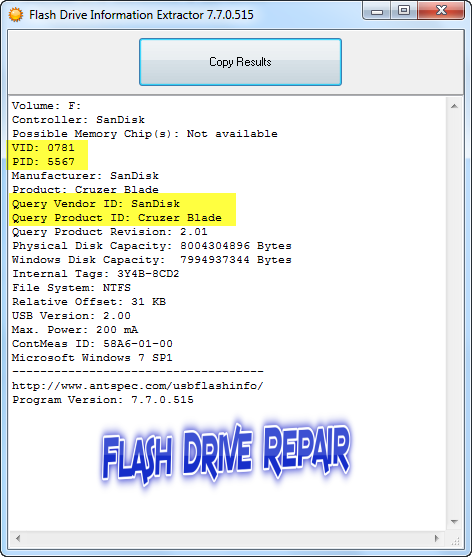 Flash Drive Information Extractor 7.7 is a great USB drive detector tool .It allows to you to determine all USB flash drive information such as VID,PID ,Chip Vendor,Chip Vendor Model ,USB Drive Volume ,Flash Drive Brand Name and more .With Flash Drive Information Extractor 7.7 you can determine the flash drive chip controller so you can find the right repair software for your flash . 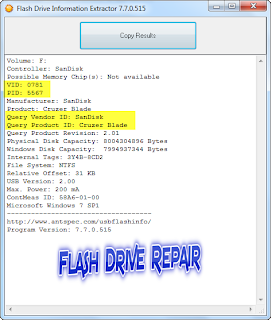 How to use Flash Drive Information Extractor 7.7 ? First download Flash Drive Information Extractor 7.7 from the download links in the bottom of this article then open it . 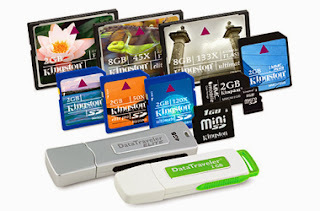 Before you connecting your USB flash disk , Flash Drive Information Extractor 7.7 interface will be like the next picture . Insert your flash drive to your computer then click Get Flash Drive Information .Flash Drive Information Extractor 7.7 will collect your USB stick information , look to the next picture . Note that , the items with yellow background is the most important information that you will need to fix your corrupted USB Drive . For beginners , read this article to learn how to fix USB flash drive "How to repair usb flash drive in three steps" . Don't forget to subscribe to our Facebook page or mailing list . Please share this article with your friends on Facebook .